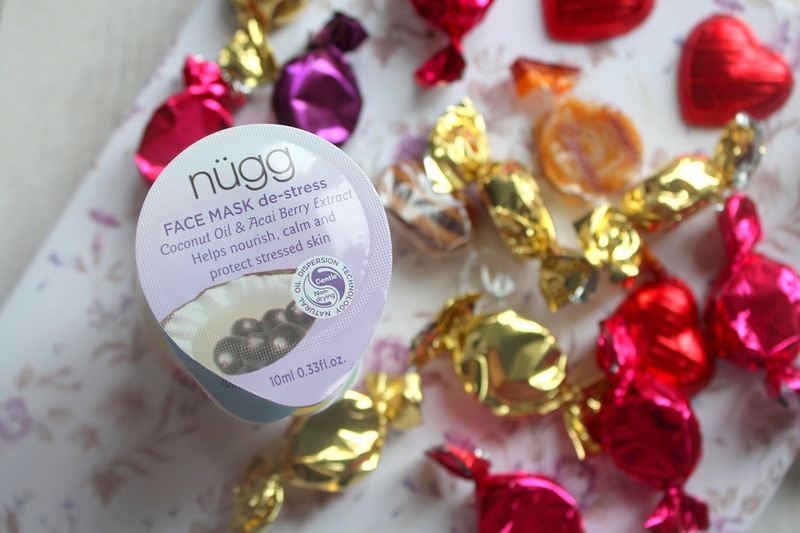 Nügg Face Masks and a GIVEAWAY! Nügg bills themselves as ‘The Face Mask Authority’ and the brand is all about providing top quality skin treatments at affordable prices. The packets may be small, but they certainly pack a powerful punch and the formulation is backed-up by some impressive skincare science. It’s pretty clear from my blog that I am a HUGE face mask fan so I jumped at the chance to try these. The idea of single-use pods really appealed to me as I often find face masks can be quite messy to apply and a lot of product seems to get wasted, plus as an avid reader of Paulas Choice I’ve realised that the packaging of a product is paramount to its potency. 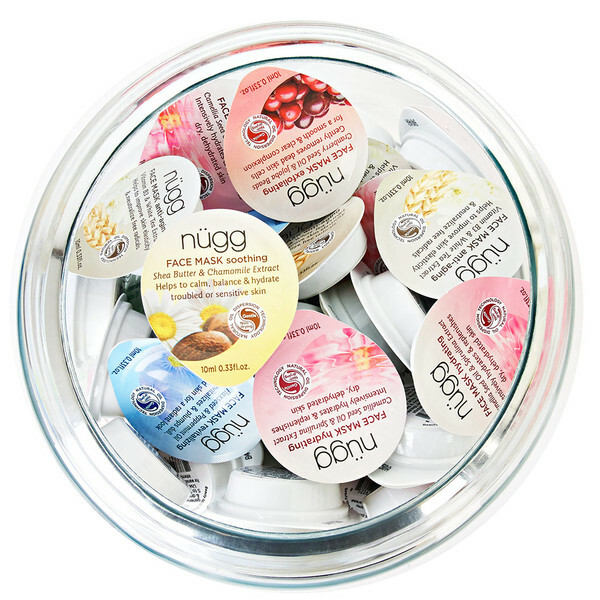 The Nügg pod single-use packaging keeps the product fresh right up until use and minimizes oxidation (which is when the air getting into the product causing it to be less effective) so you know that the product is 100% effective when you use it. Each one contains a potent blend of tailored natural oils and extracts -.powered by cutting edge technology that eliminates the need for chemical emulsifiers. 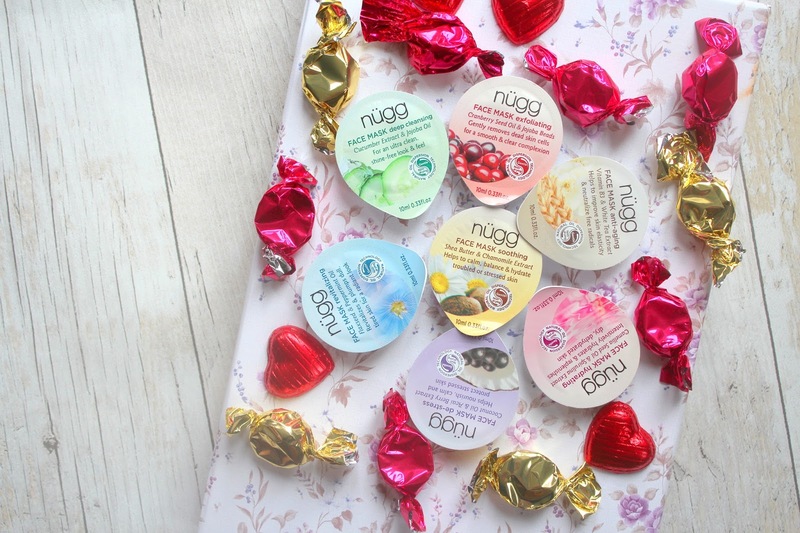 So each nügg Face Mask contains over 90% natural or naturally derived ingredients AND has NO chemical emulsifiers, NO fragrances, NO synthetic colors, NO petrochemicals, NO parabens. Pretty good eh? So far I have used the ‘soothing’(*), hydrating (*) and the ‘de-stress’(*) face masks and each was absolutely wonderful and left my skin feeling soft and nourished. There is a very generous amount in each pod and you simply apply a thick layer to your face, wait for 10 minutes and wash off. I love to put my face masks in the fridge to add to the soothing sensation so I did the same with the pods and then applied them whilst relaxing in the bath. The hydrating and deep cleansing mask have both been won Allure Beauty awards and there is a lot of buzz around these masks - having tried them I can totally see why. 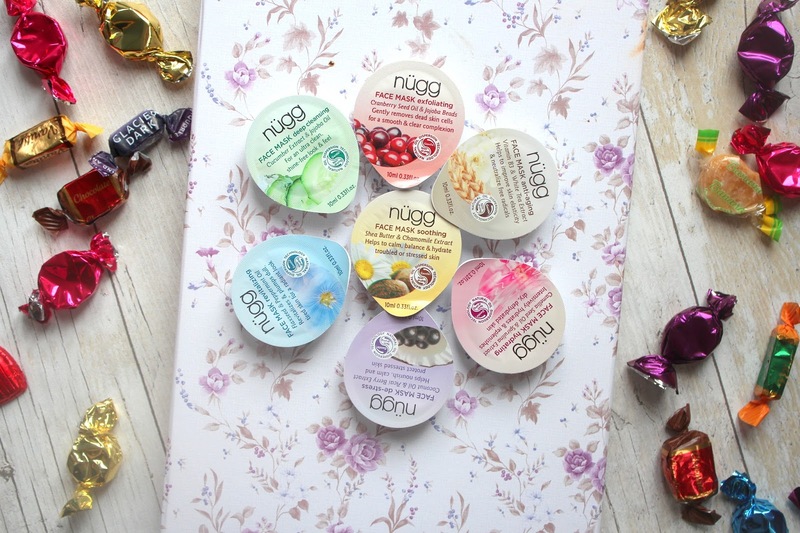 You can buy Nügg face masks in sets of 4 (£13.50) which contain a range of face masks, or if you have a firm favourite mask or two (or three!) you can buy a set of 5 (£16.50). With summer sort of here (I mean we had sunshine for like a day so that’s pretty much Summer done in England) these are absolutely ideal for popping in your hand luggage if you’re jetting off to sunnier climes or to have at the ready for a quick, anytime complexion pick-me-up. I’m running a competition over on my Twitter where you can win one full set - ALL SEVEN FACE MASKS!!!! So head on over and get tweeting! Can I just say that you simply MUST go and check out the Frank Body website and give them a follow on social media (insta | twitter as they are just absolutely bang-on in terms of their brand messaging and their website is bloody brilliant. 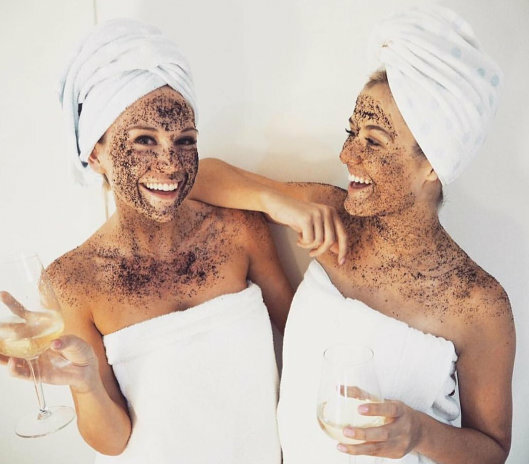 this is their infamous coffee scrub which is the product they are best known for. I purchased some of this too so a review will be coming up in the next few weeks! 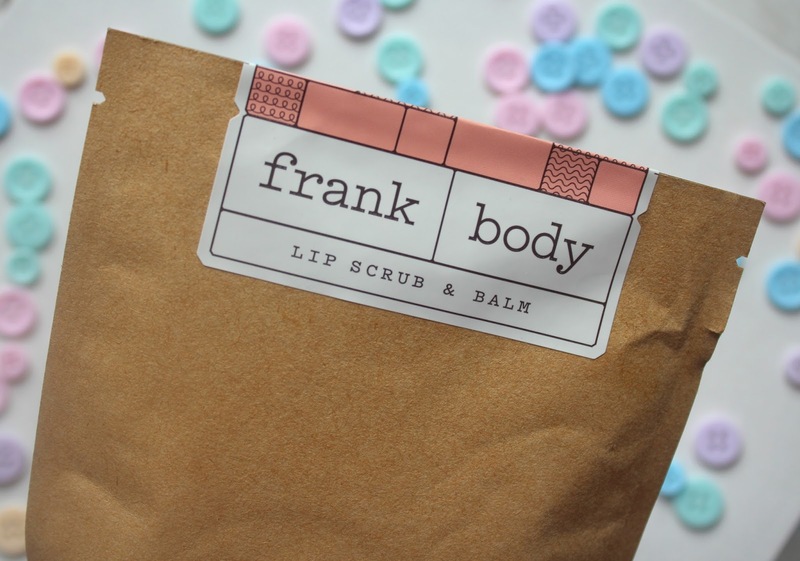 I purchased this as I am a lip balm lover and was keen to try a lip scrub for the first time and I fell head over heels in love with the Frank Body brand so decided to give it a whirl. The first thing I noticed is that the packaging for both products is super cute and a good size for the price and the second thing is that it smells simple HEAVENLY, a super sweet mixture of coffee, coconut and macadamia. 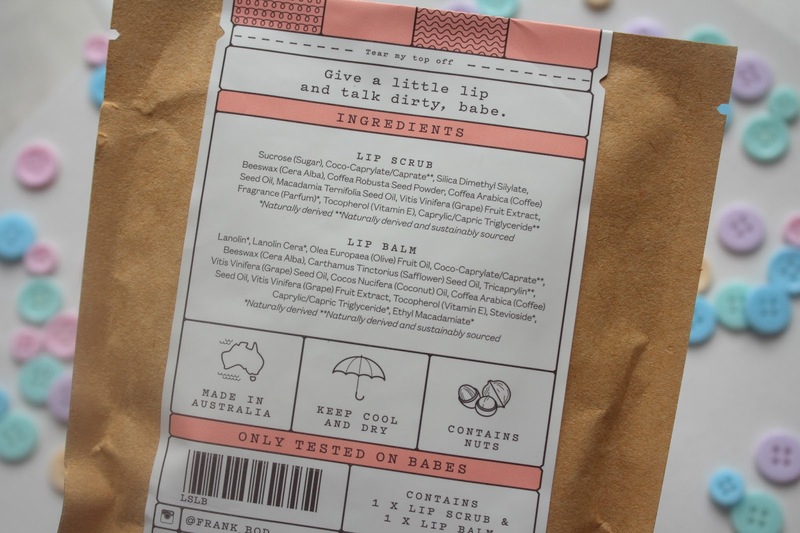 The Lip Scrub: The finely ground raw sugar gently buffs away dry skin cells, exfoliating your lips leaving them sumptuously soft and smooth. Ground robusta coffee & coffee seed oil stimulate the production of collegen and moisturises with essential fatty acids and vitamin e. Macadamia oil leaves a long-lasting silky feeling and combined with the natural anti-inflammatory, antibacterial and antiviral beeswax really seals the deal (pun totes stolen from the Frank and Body website!) leaving your lips feeling luscious and ready to absorb the hydrating natural lip balm. 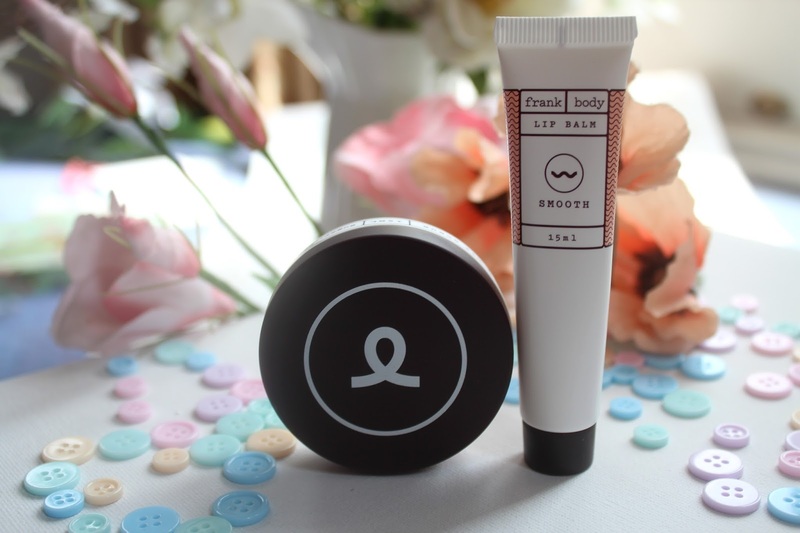 The Lip Balm: The balm contains vitamin E, lanolin (a natural moisturiser, SUPER hydrating and my ultimate love in any lip balm), coffee arabic seed oil (which contains antioxidants to protect skin from environmental damage), grape and coconut oil. It’s sumptuously thick and luxurious feeling and glides effortlessly onto the lips, smoothing, protecting and relieving any dryness. It also leaves a beautiful sheen meaning I can apply this to my bare lips for a natural sheen, under lip products for that perfect base and over lip products as a non-sticky, gorgeous gloss. 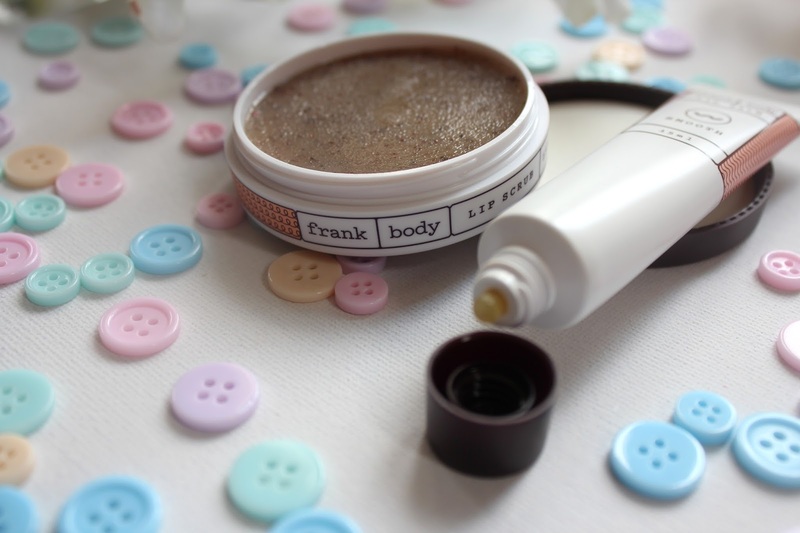 I am completely smitten with this perfect pairing and with Frank Body as a brand! I am on a constant quest for that elusive perfect epidermis and I’m hoping a 40 day course of Skinade (*) will help me on my journey! 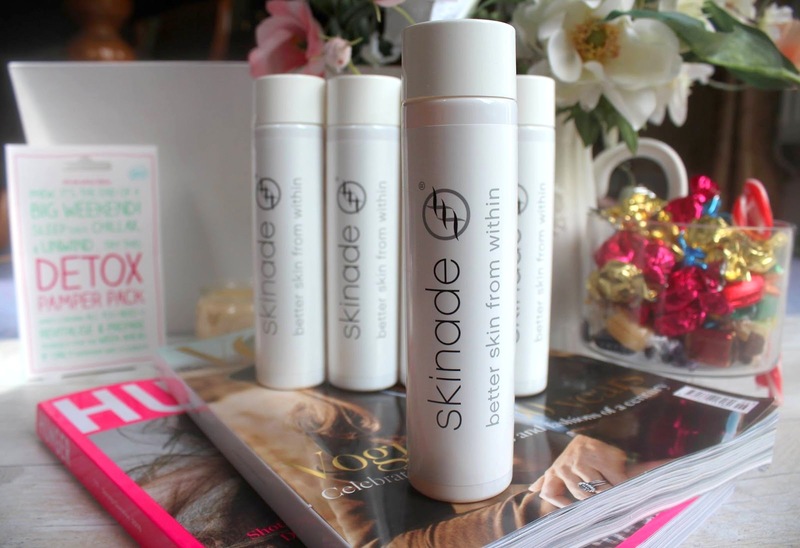 Skinade is a drink which is to be consumed once a day and claims to “improve the way your skin looks and feels in as little as 30 days.” It contains no artificial flavours or colouring, is less than 35 calories and tastes like peach and mangosteen. As we age, we lose collagen at the rate of 1.5% a year from our early twenties (slightly scary as I am hurtling towards my THIRTIES now!). Collagen is a critical part of the structure of the dermis, and gives our skin that lovely youthful plumpness. 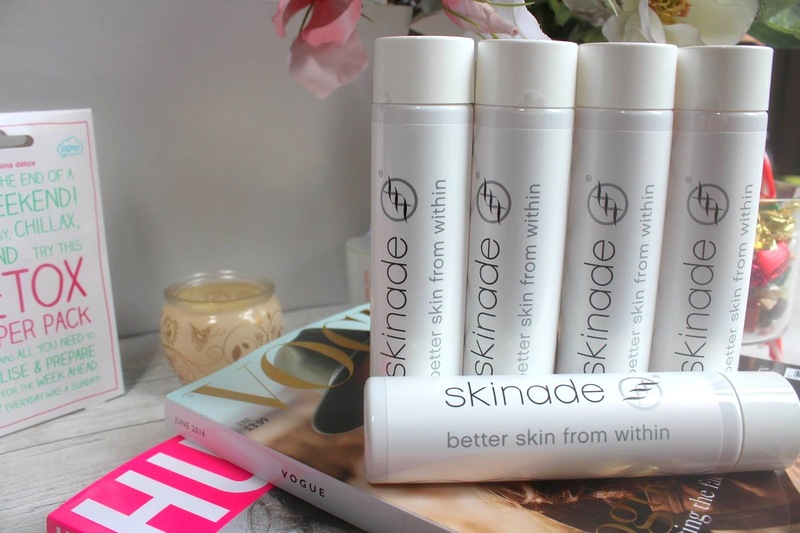 Developed by leading UK scientists and manufactured in the UK, the patent-pending formulation of Skinadce contains high-grade collagen and essential micronutrients. 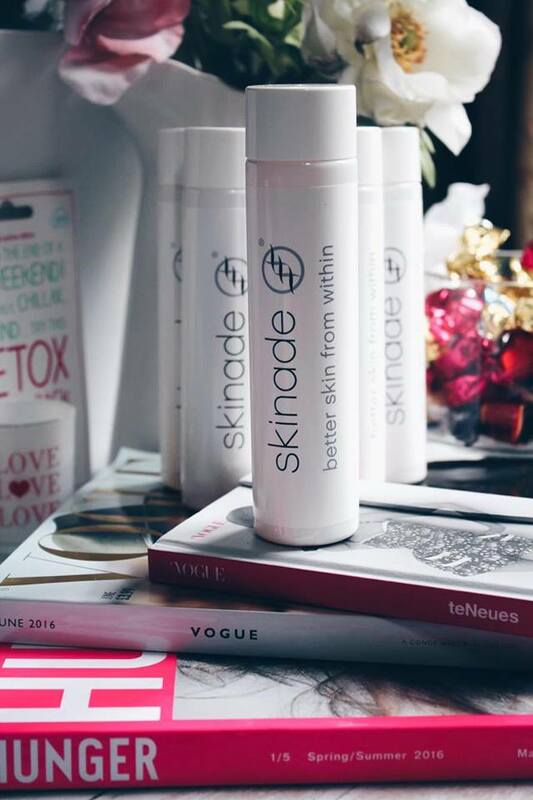 Skinade works by increasing collagen in the bloodstream by adding 7000mg of hydrolysed marine collagen from each bottle (the daily dose), but more importantly triggers the body’s own collagen production by firing up the fibroblasts, our own collagen factories. Increasing collagen in the bloodstream also increases the body’s production of hyaluronic acid – AKA the holy grail of skin hydration! 1 bottle of Skinade is the equivalent of taking 20 pill supplements and has a much better absorption rate (80-90%). I’m completely useless at taking anything larger than a neurofen and all of the supplements I’ve seen tend to be ginormous; so the fact it’s simply a case of drinking one yummy drink per day is a HUGE plus for me and means I can genuinely easily fit it into my every day routine. SIDE NOTE: I am a total diet coke ADDICT and have been told very strictly that caffeine needs to be avoided one hour each side of your daily bottle of Skinade as it can hinder the absorption of the essential micro-nutrients and collagen. I won’t go into all the science-y bit on the ingredients here - but to find out more about all of the ingredients you can check out the ‘What is Skinade’ page. FYI for any vegans/vegetarians Skinade contains collagen sourced from freshwater fish which vegetarians/vegans. - firmer, more even toned, hydrated, radiant, youthful and healthier looking skin. -stronger, healthier and faster-growing hair and nails. I’m officially starting my #SkinadeJourney today and will be reporting back in 40 days to see what benefits I’ve seen. In addition to the skin benefits I’m really hopeful the course will help sort out my brittle nails and give my damaged hair a bit of a boost. A 30 day course of Skinade costs £99. I’m a HUGE facial fan both at-home and in-salons. 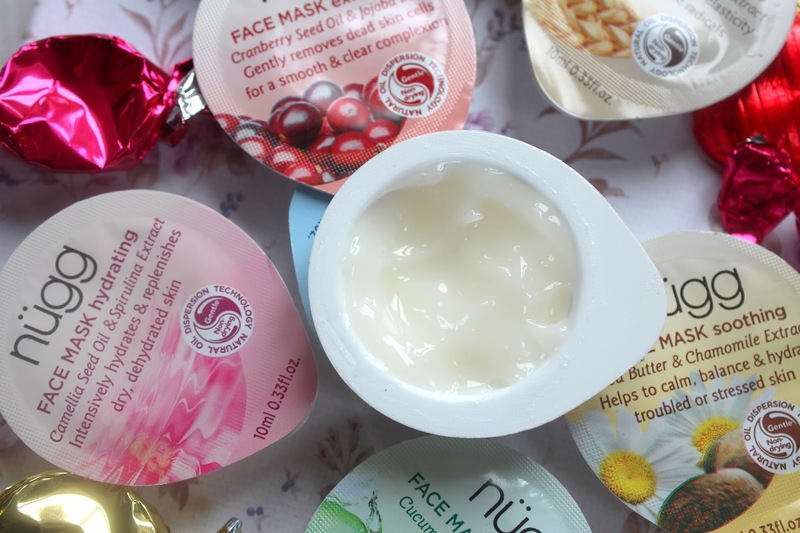 In my opinion nothing beats a face mask for giving your skin a proper indulgent - and effective - pamper. To combat congestion/breakouts and dullness plus defeat any dehydration or annoying dryness my go-to face mask combination at the moment is the Ole Henriksen Lemon Strip Flash Peel followed by the Aveda Intensive Hydrating Masque. 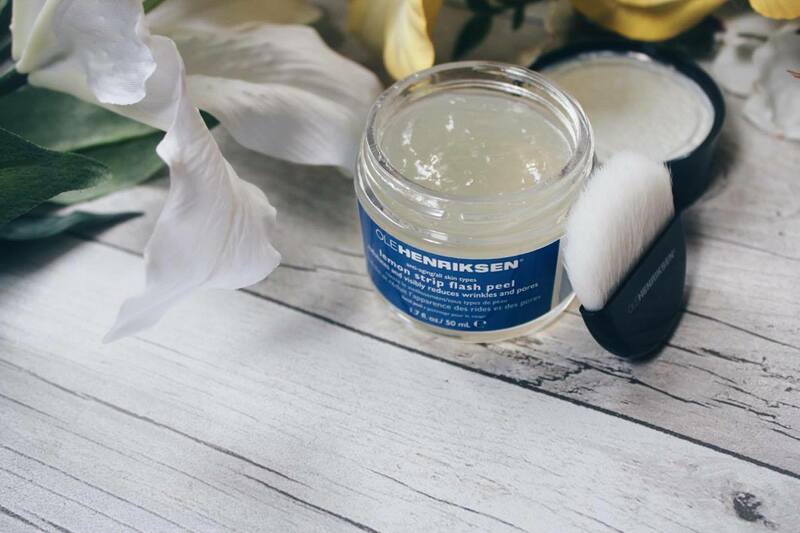 The Ole Henriksen Lemon Strip Flash Peel (£35) is a fantastic exfoliating mask and contains a plethora of high-tech ingredients which ensures it packs a powerful punch. It’s a thick, gloopy-gel consistency which you apply in a thin layer all over your face (avoiding the eye area!) 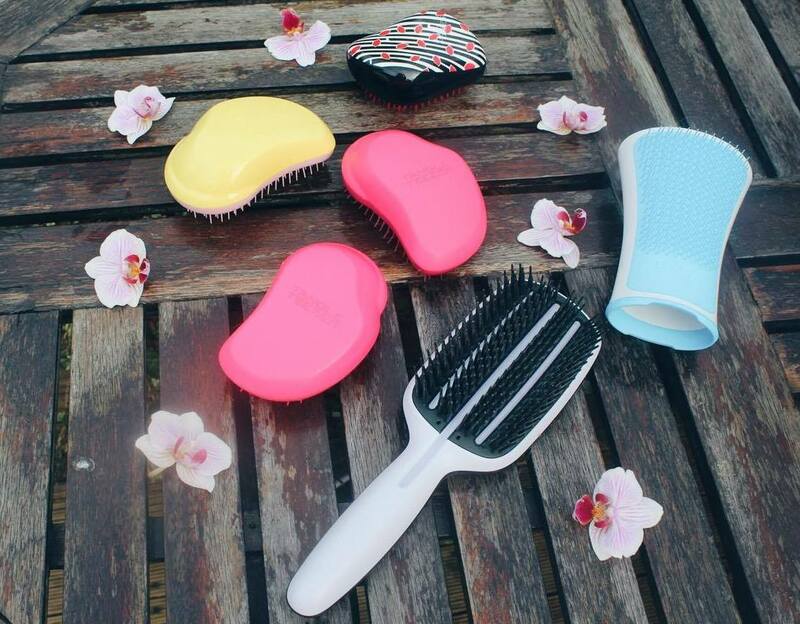 using the little firm-bristled brush it comes with and wash off after 10 minutes. It may seem like a small pot but due to the potency of the mask a little goes a long way so you get a lot of bang for your buck. Don’t let the name put you off as this definitely falls into the category of gentle peels that don’t require any downtime whatsoever. A slight tingling sensation can be felt after about 5 minutes but your skin is simply thoroughly exfoliated with no actual ‘peeling’ or flaking to be seen. The Lemon Strip Flash Peel is an AHA exfoliant that contains both glycolic and lactic acids and is formulated at a pH of 3.5, ensuring these ingredients do their job exfoliating skin and boosting collagen. Micro algae extract calms and soothes whilst liquorice extract brightens and evens leaveing your skin looking brighter and smoother. 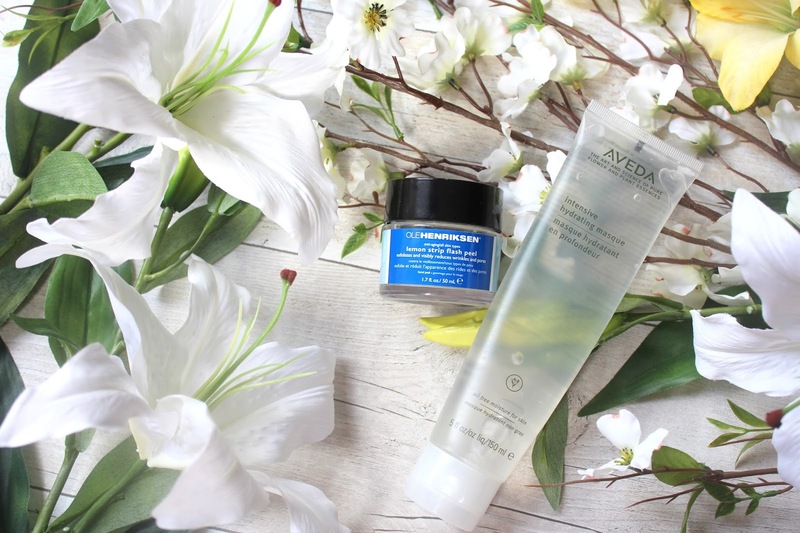 The Aveda Intensive Hydrating Masque (£25.65) is a fantastic face mask for all skin types and so many occasions; it’s soothing, cooling and oil-free (YAY!) so whether it’s post-peel, post-sunbathing or post-one-too-many-shots it’s the perfect pick me up for stressed out skin all year round and whatever the weather. 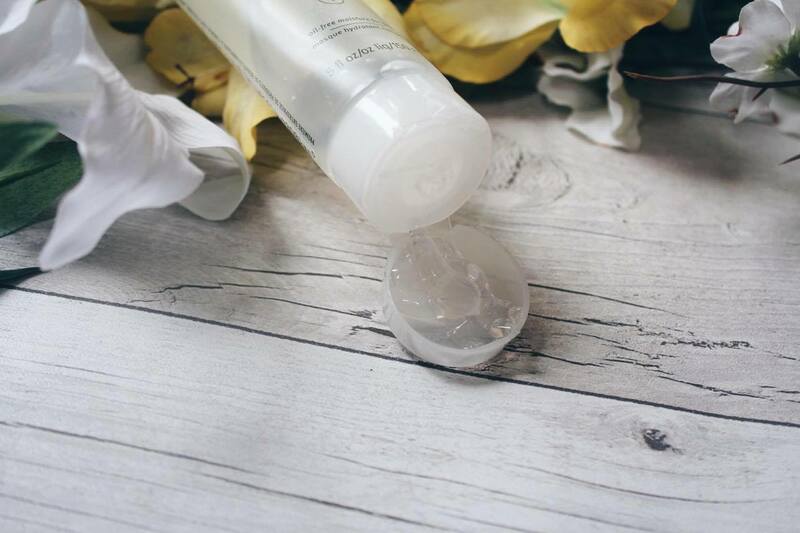 A lightweight gel texture which you can leave on for 10 minutes or longer/overnight as an intensive treatment (be warned though that it remains slightly tacky-feeling on the skin so does feel a bit odd, especially in the morning) it immediately re-hydrates and calms skin with its combination of rosewater, aloe, kelp and lavender. I highly recommend this mask as a must-have for traveling as it can be used to soothe sore wind or sunburnt faces. It’s a great price point too as a tube lasts absolutely bloomin’ ages - I got mine in December and have barely used ¼ of it even with regular use! Top tip – pop it in the fridge for at least 30 minutes before use to achieve maximum soothing relaxation. Be sure to let me know your favourite face masks and check out my ‘The Night Before’ Routine to see my go-to products to prepare fora big event! 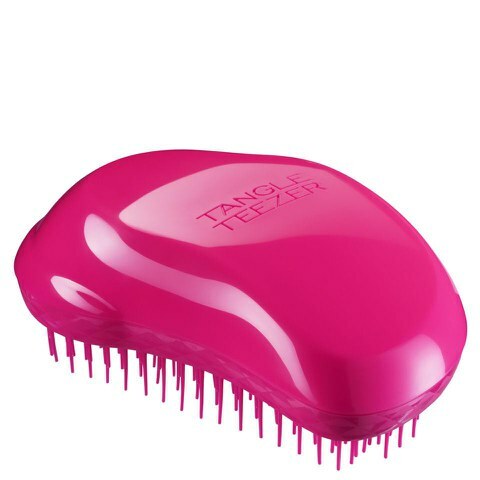 Tangle Teezer | Get Your YEAH Hair!